On the 23rd of September 2001 the Swedish-Eritrean journalist and author Dawit Isaak is arrested by Eritrean authorities. 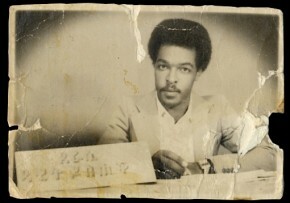 More than ten years later he is still imprisoned in Eritrea without any charges pressed or a trial held. Dawit Isaak is today the EU-citizen serving the longest imprisonment term based on political reasons. Gellert Tamas’ and Maria Magnusson’s film Imprisoned – The Untold Story of Dawit Isaak portrays the person and describes the political game that Dawit Isaak has become a victim of. Through unique pictures, from private movies to TV interviews, we meet and get to know Dawit. We see and read Dawit’s increasingly desperate mails to friends in Sweden the weeks before the arrest and we find out about a formerly unknown attempt to free him through the EU. But the documentary also reveals how the tentacles of the Eritrean regime reach right into the heart of Swedish society and how it creates fear and divides families – here as well as there.